Your baby is the most precious thing you will ever hold and of course we’ve all read the stories of tragic accidents which make us question are baby carriers safe? Of course as baby carrier experts we only stock baby carriers which have passed or exceeded the EN-13209-2 European safety testing standard but as with most things how you use them will have a major impact on whether they are safe. You should have both hands and arms free. 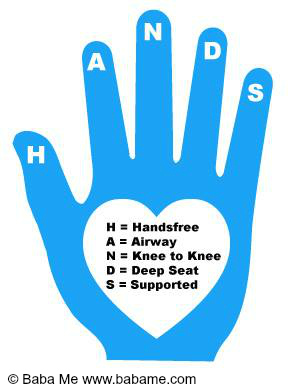 If you feel the need to use your hands to support the baby, then double check it is fastened correctly and safely, once it is on correctly, you should be hands-free. If breastfeeding in the carrier you may wish to consider what baby carrier is best for breastfeeding? Always, once you have fastened baby in, check their airway is clear and unrestricted. N = Knee to Knee. Check the fabric is knee to knee supporting baby, but that baby can still move their knees and lower legs freely when sitting. Run your hand along their bum and check it is a nice deep seated position, with a nice gentle 'j' curve running from the bottom of the bum up the back. Ensure your baby is supported, with a nice tight carry and the chin is off the chest. Gently lean forward and ensure baby does not 'move'. If there is any movement then double check your tension and retighten. We also recommend taking care in how you dress your baby. As with car seats padded snowsuits are not recommended. They can easily lead to baby overheating and the padding can make it very difficult to achieve good positioning inside the carrier. Instead we advise adding layers to keep your baby warm. Separates can be better than footed sleepsuits which can ride up and compress toes. The baby carrier counts as one layer so remember to factor it in. Baby slipper socks can be really useful to keep their legs warm without restricting movement. With your baby in the correct position and dressed appropriately for the weather you should be able to monitor them at all times as their face will be in view. If they are in a back carry (usually an older child or a more experienced baby wearer) you should be able to feel their breath against your neck, a little mirror can be really useful to monitor a child in a back carry. If they are on your front or hip you can monitor them easily whilst awake or asleep. If you have been using the carrier whilst breastfeeding it is important to ensure that the child is returned to a good position following HANDS once they have finished feeding in order to ensure they are well supported and they have plenty of oxygen. Used correctly, following the simple guidelines above, our baby carriers are safe. 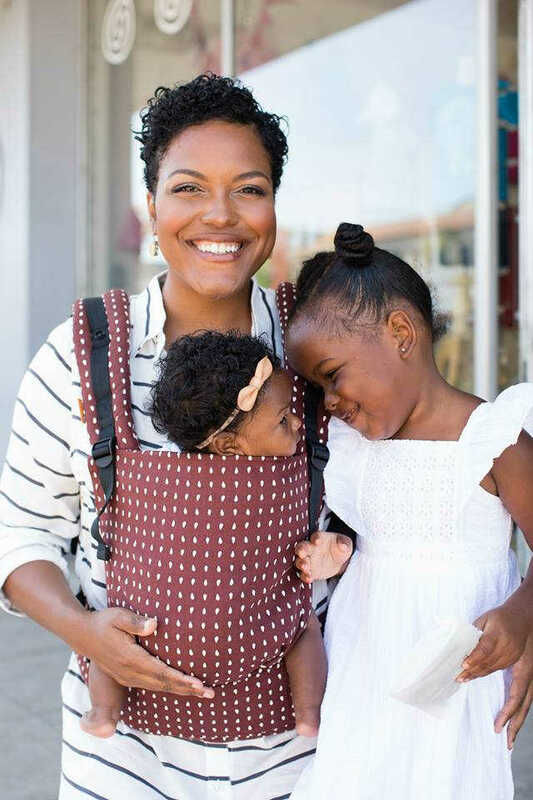 Read More: What baby carrier is best for breastfeeding?